Spark is the UK’s first true storytelling club and we welcome everyone, from regular performers to nervous first-timers. Every month, our audience shares stories on a chosen theme. The rules are very simple: your story has to be true, is must be something that happened to you, and all stories must be up to five minutes in length. 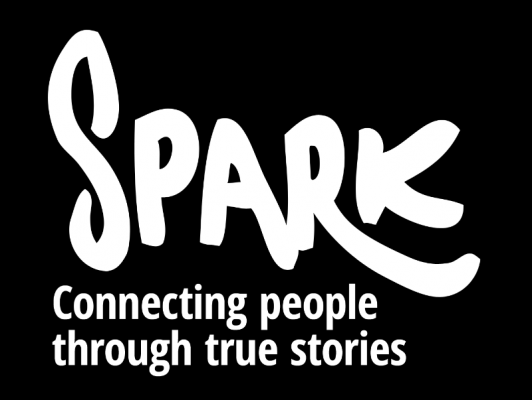 Spark is the UK’s first true storytelling club and we welcome everyone, from regular performers to nervous first-timers. Every month, our audience shares stories on a chosen theme. The rules are very simple: your story has to be true, is must be something that happened to you, and all stories must be up to five minutes in length. This is not a competition and you will not be judged; we just want to hear what you have to say. Sign up on the night to share your experiences, or simply relax and enjoy the evening (sharing is not compulsory). There will be laughter, there might even be a few tears, and you’ll always find something you can relate to. If you want to learn more about Spark, check out stories.co.uk, search for Spark London on Facebook, or simply come and say hi to us after the show. We like to talk.